By taking cells from patients and growing them in the lab into structures that maintain the characteristics of the patient, pharma has the tools to speed drug discovery and tailor treatments to the individual, suggests Colin Sanctuary. With the ratio of early drug candidates to eventually-approved drugs standing at between 5,000-to- 1 and 10,000-to- 1, the drug development process is enormously costly and a pressing issues for pharma. According to the latest study published by the Tufts Center for the Study of Drug Development (CSDD) in the May 2016 issue of the Journal of Health Economics, the average cost to develop and gain marketing approval for a new drug is estimated at $2.558 billion. In its study, the CSDD notes that higher failure rates for drugs tested in humans are the primary reasons behind rising drug development costs. Can this rate of failure be reduced by using more advanced preclinical tools? It is common to hear scientists and pharma project leaders blame this long and arduous journey ‘from Petri dish to patient’ on inefficient processes and outdated tools used in drug discovery and development. Many argue that models such as biochemical assays and 2D grown cell lines, despite years of wide use due to the ability to meet industrial scalability demands, often fall short of maintaining important disease features of the actual patient. Other alternatives, such as mouse models, might be more physiologically accurate but they are expensive, slow and ill-suited to large- scale screening campaigns. But even if ‘The price of doing the same old thing is far higher than the price of change’ (Bill Clinton), the industry keeps putting habits first and change second. As a direct consequence of this ‘innovation glitch’, payers are put under more pressure as the costs of drugs rise, fewer treatments make it to market and more people get sick. This situation has become a global health policy problem. In fact, public expenditure on health and long-term care in OECD countries is expected to grow from around 6% of GDP today to almost 9% of GDP in 2030. What is needed is the ability to improve ‘fail early’ decisions in the drug development process. The industry needs a more productive approach to drug innovation that will incite the discovery of new therapies. So how can we predict clinical response before actually treating the patient? As it happens, 2016 is seeing great progress in answering this question through the use of organoids. Organoids are formed by taking cells from patients (diseased or healthy) and growing them in vitro so that they form three-dimensional structures that maintain the unique physiology of the patient. Since cells are derived from biopsies, organoids are valuable because they capture many of the specific disease features that are present in the patient’s disease, something traditional cell culture techniques fail to do. This functionality has tremendous potential for drug discovery, and opens the door to truly personalised cancer treatments, thanks to the ability to test drugs in a human-like environment before even entering the clinic. Organoids, however, are not new; they were well publicised in the 1990s, but difficulties with scaling up production at that time meant interest waned. Growing organoids requires a specialised matrix to support cell differentiation during tumouroid growth as it occurs in the human body. Unfortunately, the prevailing gelatinous protein mixtures most commonly used today are derived from animal tissues, whose exact protein compositions are virtually unknown. Because their constituents cannot be fully defined, they cannot be considered for use in any application where scalability is required. With this innovative in vitro disease modelling platform, pharma has the capability to accurately predict the effects of drugs in vitro, eliminate more unpromising compounds earlier, and thus reduce late-stage attrition. 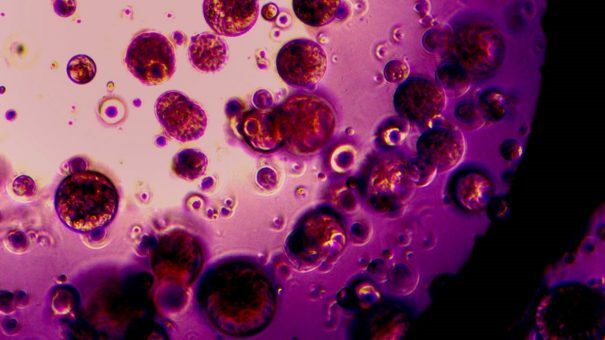 Ultimately, these tools will also allow the testing of drug efficacy directly on tumour organoids derived from patient biopsies and grown outside the body, thereby identifying the right treatment for each patient. Would this finally make personalised medicine a reality? Most certainly. Colin Sanctuary is Chief Executive Officer, Board Member and Founder of QGel. 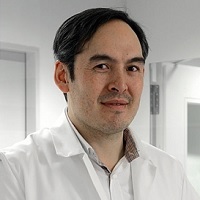 An engineering graduate of McGill University (Canada), he obtained his PhD from the École Polytechnique Fédérale de Lausanne (EPFL) in 2003 and was trained in business management at the International Institute for Management Development (IMD). Dr Sanctuary held positions at Straumann and Medtronic before founding QGel in 2009.